This dress came in the mail, gifted from my friends at JCP. Before trying it on, I remember unboxing it and thinking "uh, ok" and I sat it down. As I was going through items that I wanted to shoot and feature in videos, my eye kept going to the dress. Why do I keep looking at this thing I thought? I don't like it, or do I? I couldn't decide. Here I am breaking my own rules. Don't knock it before you try it. a low(high)key hater on bodycon dresses. 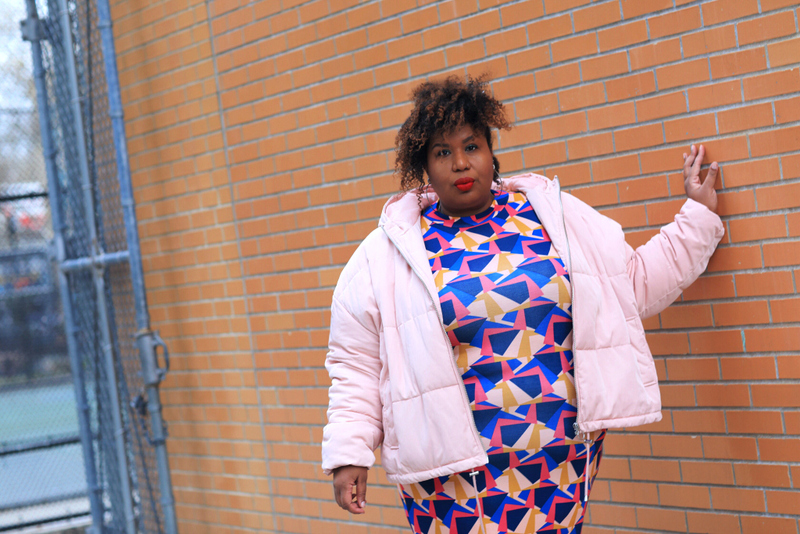 It's just soooooooo trite when it comes to plus size fashion. But this was is pretty sick. 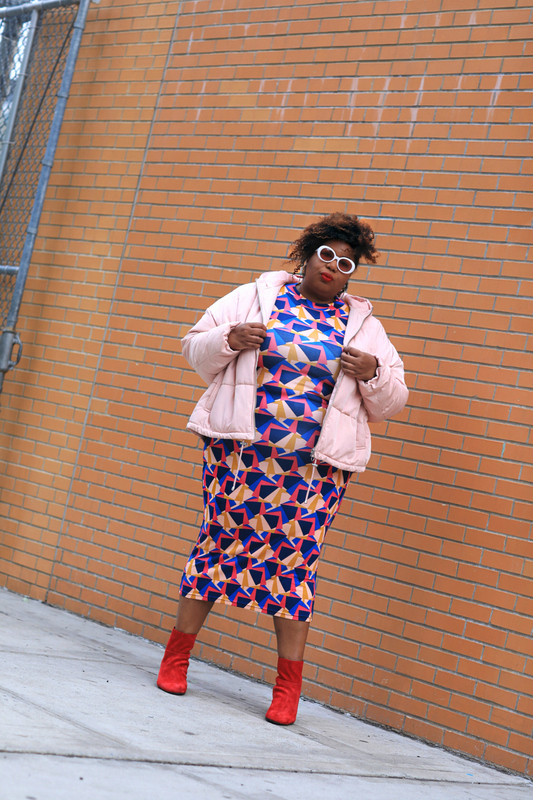 The colors, the fit, and yes that wacky geo pattern look really good. I decided to amplify the color and fun of the dress but if you wanted to town it down, a navy trench and a pair of dark heels would also be really cute.